Get $50 Off With Repair Over $100. When temperatures start to drop, contact the heating professionals at Great Peaks. We offer a range of home and commercial heating services in Broomfield, Erie, Superior, Thornton, Westminster, Lafayette & Arvada, CO. With over 20 years in the heating industry, we are committed to maintaining our reputation of superior customer service and workmanship. 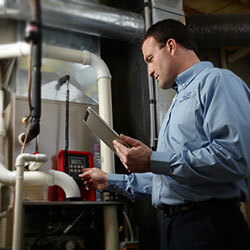 Contact us for professional installation, repair and maintenance of your furnace or heating system. When temperatures start to rise in Broomfield and the surrounding area, call on the experts at Great Peaks. As a local air conditioning company, with over 20 years experience in the cooling industry, we know just what it takes to keep your home or business comfortable all summer long. Enjoy the cool comfort of a new Carrier air conditioning system installed, serviced and repaired by our team of certified technicians. Contact the cooling specialists at Great Peaks for professional A/C service in Broomfield, Erie, Superior, Thornton, Westminster, Lafayette & Arvada, CO.
At Great Peaks, we strive to make HVAC installation and repair more affordable! We offer several, flexible financing options with approved credit. Contact us for more information or to apply. When you purchase and install a heating and cooling system, you’re making an investment in your home comfort. At Great Peaks, we help you save big on heating and A/C! Visit our Offers page for special discounts to cut costs on repairs, product inspections, replacement systems and more! No matter the time of year, a reliable heating and cooling system is something you can’t do without. Whether temperatures are climbing into the triple digits, or dropping into singles, you expect a perfectly comfortable environment. Year round temperature control is a significant investment, with a long-term impact, and you want to make absolutely sure you’re getting the best value for your investment. Quality equipment, regular maintenance, and a trustworthy HVAC contractor are the keys to your satisfaction. The team from Great Peaks Heating and Air Conditioning has the experience, expertise, and industry resources to not only answer your expectations, but exceed them. 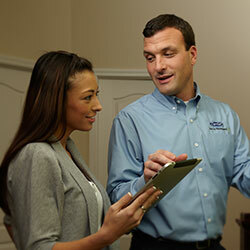 Your new heating and air conditioning system is only as good as the technicians who install it. Even state-of-the-art equipment will fail to deliver efficient, consistent, and lasting operation, if it is installed improperly. There are no one-size-fits-all HVAC units and no cookie-cutter installation procedures. Your home or business is unique in its requirements. Your heating and cooling equipment needs to be tailored to match your specific needs, not only today, but throughout years of service. At Great Peaks Heating and Air Conditioning, our goal is to make you happy every day, answering the changing demands of your home or business season after season. Call 303-872-9099 to discuss your options for heating installation and A/C installation. Leading-edge products and precise installation are the best way to get started. But not everyone is in the position to upgrade, and even brand new equipment can’t fight off the wear and tear of months and years of operation without regular tuning. To prevent safety risks, lack of efficiency, shortened service life, and most common repair issues, become a member of our Maintenance Club. The team from Great Peaks Heating and Air Conditioning will handle all of the important tasks that are necessary to keep your HVAC system in peak condition. There’s a lot less for you to think about, worry about, and while you’re enjoying uninterrupted comfort, you’ll save money on energy costs, breathe cleaner air, and relax in confidence. If you experience any difficulties with your heating and air conditioning system, count on the professionals from Great Peaks Heating and Air Conditioning Our team of heating and cooling technicians is NATE-certified. Of all nationwide, third-party certifications, NATE has the lowest pass ratio and is the only program endorsed by the HVAC industry at all levels. 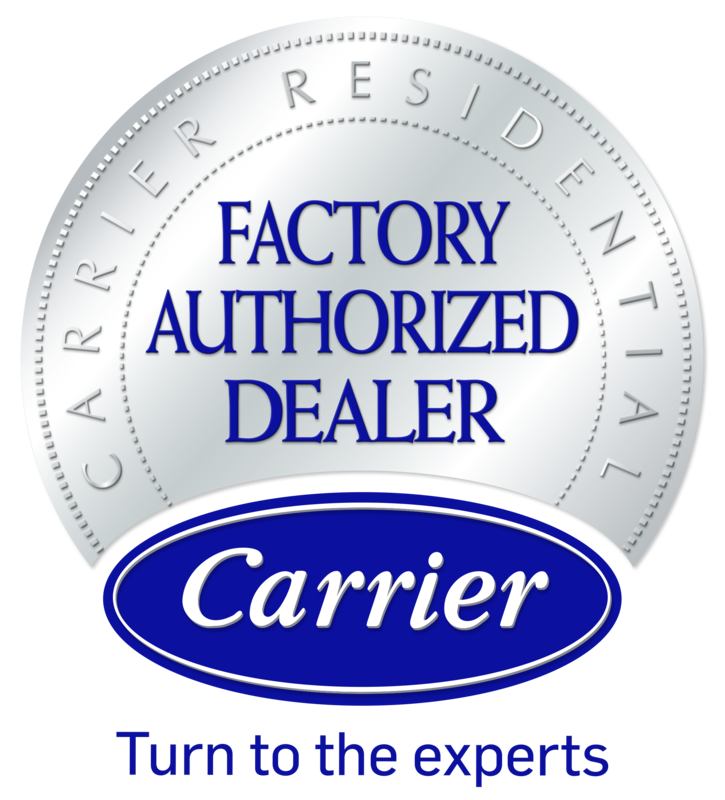 We are also a Carrier Factory Authorized Dealer, a recognition that is earned rather than given, and holds us to exceptionally high standards of customer service, product knowledge, and business management. Our technicians receive ongoing training, specific to installation, maintenance, and repair, and always reach first for Factory Authorized Parts. To further protect your interests, we offer flat rate pricing as per industry averages on most repairs, charge for either repair or diagnostics, never both, and offer free investment quotes on new installation. Great Peaks Heating and Air Conditioning is extremely proud of our complaint-free A+ rating by the Better Business Bureau. Customer service is our priority. We take your satisfaction very seriously, and never underestimate the importance of your time, comfort, and investment. When you contact us for installation, maintenance, or repair, you will always speak to a live and helpful member of our staff. When you choose Great Peaks Heating and Air Conditioning for HVAC service, you will always receive the same, dedicated service the team from Great Peaks Heating and Air Conditioning has provided Broomfield and the surrounding areas of Broomfield, Erie, Superior, Thornton, Westminster, Lafayette & Arvada, CO since 1991. 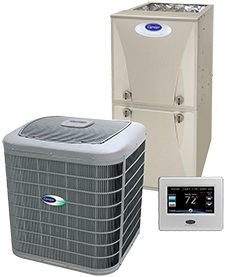 Great Peaks Heating and Air Conditioning provides expert heating and AC service in Longmont, CO. Our HVAC & furnace company is extensively trained and certified. Our team of technicians is committed to the highest quality of customer service. Contact us for HVAC products and services in Longmont and the surrounding communities. We offer heating and air conditioning repair, installation, and service. Customers trust Great Peaks Heating and Air Conditioning for heating and cooling in Thornton, CO and the surrounding area. Our HVAC company provides energy-efficient comfort solutions in all seasons. Whether you need air conditioning installation and repair in summer, or furnace installation and heating service in winter, call on our team of highly trained and experienced HVAC technicians. Request an appointment for Thornton heating and A/C service today! For air conditioning and furnace service in Arvada, CO trust the professionals at Great Peaks Heating and Air Conditioning. Our entire team of contractors puts your long-term satisfaction first. Our HVAC company offers repair, installation and maintenance on heating and cooling equipment. Contact us for expert HVAC service in Arvada. Great Peaks Heating and Air Conditioning is a heating and air conditioning company serving residents in Westminster, CO and the surrounding communities. 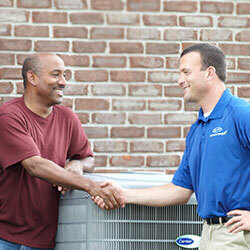 We aim to provide quality HVAC service you can rely on. For Westminster furnace installation or AC installation, call 303-872-9099. We carry a range of energy-efficient products, and also offer repair and maintenance services to keep your new heating and cooling system running for many years. Call now for Westminster HVAC! 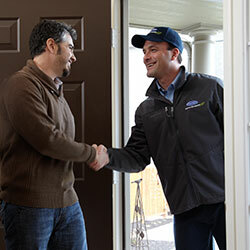 Homeowners may qualify for a Cool Cash rebate by purchasing qualifying Carrier equipment between March 18, 2019 and June 30, 2019. Equipment must be installed and rebates claimed by July 31, 2019. Offer must be presented at time of estimate or service, and are not valid with any other offer, or on previous purchase. Must present coupon to receive discount. Not valid with any other offer, coupon, Cool Cash, financing, or previous purchase. Terms and Conditions apply. Contact Great Peaks Heating and Air Conditioning for details. Not valid with any other offer, or on previous purchase. Must present coupon to receive discount.